Does anyone have any ideas on good things to do in Australia? We are going to home base in Sydney. What other cities should we visit? Thanks for any ideas guys. You should come to Adelaide. We have....erm...buildings and stuff. C'mon! There are other, nicer cities in this open air prison we call a home. Unfortunately I missed out on a ticket. So I can't be there to meet you all. Kangaroos and Wallabies are mean animals, don't get close and don't feed 'em. Keep your loose possessions away from Emu's. They'll eat anything. "fanny packs" will get you mugged. Avoid drinking VB, Fosters, XXXX, Tooheys beers, they're not indicative of the high quality beer we have in our country. Hmmmmm... Well, obviously the touristy things to do while in Sydney are see the Opera House and the Harbour Bridge (theyre in basically the same location), and probably visit the zoo to see some native animals (Toronga Zoo). Melbourne is the other major city in terms of population, so in terms of meeting fellow skeptics its probably the next logical choice to visit. Melbourne also has a zoo with some native animals, or if you dont mind a bit of travel time theres the related Healesville Sanctuary which specialises specifically in Australian native animals (I particularly like the Birds of Prey show there... Having a 2 meter wingspan Wedge-Tailed Eagle do a flyover just above your head is amazing). Healesville is a much better "aussie animal" experience, but the downside is its significantly harder to get to - an hour or two travel time by train and bus, as opposed to 10 to 20 minutes on a ferry or a tram for Taronga and Melbourne Zoos respectively. Apart from that... I dont know. Theres probably some good ghost hunts in both cities that you could go on, especially at that time of year since its getting close to summer where the nights will be relatively warm and suitable for being out and about. Christian's (Cpolsonb) hasty guide to our sunburnt country. As much as I would love to say you guys should come over to West Australia, it's not really very realistic. Driving East - West across Australia is an adventure in itself, killer road trains and suicidal emus. Flying East - West is like going on a whole other trip, similar to criss-crossing the US. I'd recommend sticking to Sydney, Brisbane, and Melbourne (East coast capitals) but travelling between each of those is still a trip in it's own right (at least it's not desert though!). The Kimberley region of West Australia is filled with stunning gorges, beautiful waterfalls, the oldest rock art in the world from the world's oldest and also most continuous culture and some of Australia's famous critters (like crocs!). 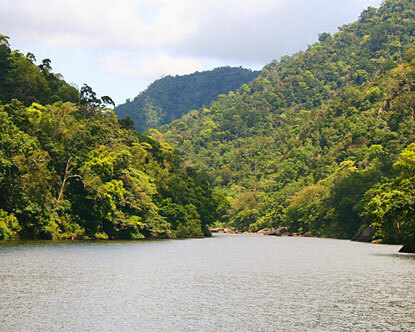 Situated in North Queensland, the Daintree Rainforest is Australia's largest. While it doesn't have monkeys and jaguars it has some amazingly ancient plants, heaps of cool frogs and the beautiful and surprisingly dangerous cassowary. The Great Barrier Reef is also in Queensland (or rather off Queensland) and is the world's largest reef system! If you're lucky you can even go swimming with Whale Sharks (although it's better at Ningaloo in WA). Something closer to Sydney is the Blue Mountains, famous for the Three Sisters. 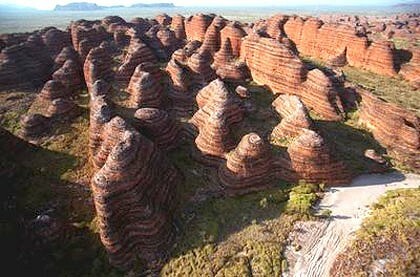 While very beautiful and definitely worth a visit I'm personally biased toward West Australia and the Kimberley region. 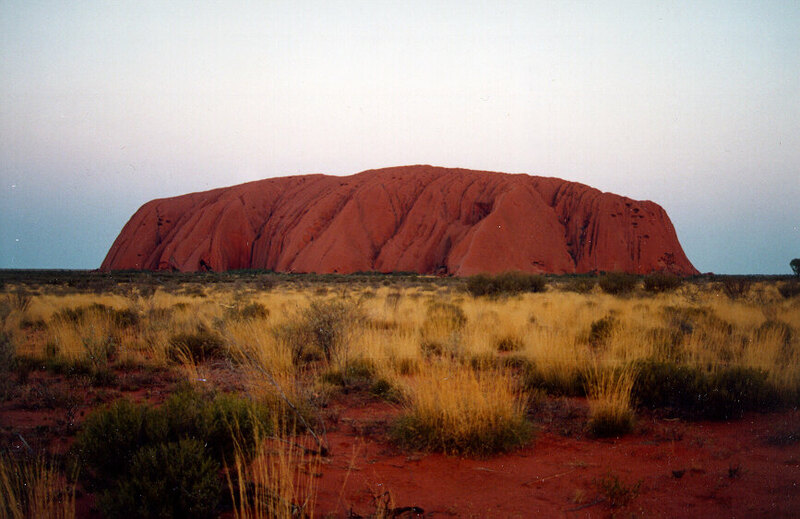 I'm sure you're all familiar with Ayers Rock / Uluru. It's pretty amazing but also happens to be in the most remote part of Australia (central). How could I almost forget Kakadu National Park. 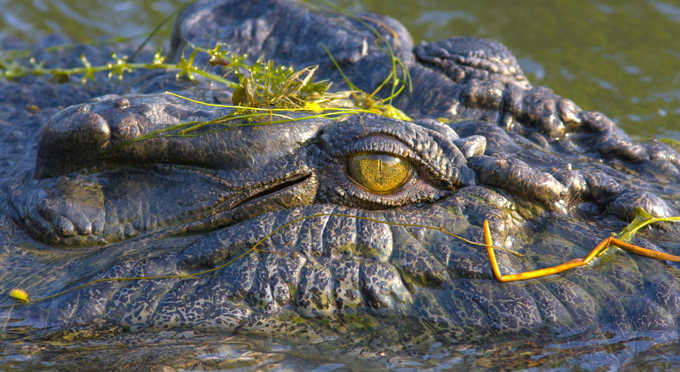 Kakadu is similar to the Kimberely but incorporates Australia's largest remaining wetland. Also filled with gorges, rivers, crocs and cave paintings Kakadu is simply gorgeous but again, unfortunately remote (this is in the Northern Territory). Plus plenty more! I'm sure others will regale you with the more metropolitan wonders, of which I am not intimately familiar. Oh and Steve will love our awesome bird diversity! Oh, and while you're at TAM will you guys be making time for the little people like me or will you be busy with the big Aus Skeptic celebs like Richard Saunders, Dr Rachie and Kylie Sturgess? Aren't these guys on a budget? I was thinking local to Sydney, unfortunately I haven't been there in more than a decade. Melbourne has a bit of everything. Penguins, Coral, Cows, Koalas, Sheep, Dogs, Cats, Kookaburras and I think there's a significant portion of Zombies here. They could be drunks, but a shuffle shuffle groan in a fog puts me on edge. Oh and watch out for magpies. Those suckers go for shiny stuff and like to attack people(head injuries) in baby magpie season. You're not allowed to hit 'em back though. Protected. All dangerous stuff aside, it's a pretty diverse country with plenty to see and do if you have the cash. It would be nice for them to take a trip North and see the Daintree + Great Barrier Reef. Probably the best bang for your buck natural marvels. seriously, cpolsonb.....you go buddy, you go. Now I want to visit Australia even more. I did the Daintree and Barrier reef in May, fking loved it! Just going bush is pretty cool, loads of stuff you don't normally see at home. So you'll think about it? "...apparently the rest of you do not, or you are not yet sufficiently well educated to realize that authority, the authority of a reputation or the authority of a printed page, means very little. All of you should hope to someday develop as much insight and persistence as Mr. Alford." I have a few friends from up there, do you still get sharks in the storm drains? As experiences go I imagine you might want to do the Sydney Harbour Bridge climb. I'm not sure there is an equivalent experience in the USA however it is a well recognised landmark and to climb it should be good. You should also get the locals to put on an Aussie BBQ for you although I'm sure Richard and friends should have that in order. Also aim to go swimming at the beach, especially if you combine that with the BBQ. Maybe do a trail ride in the Blue Mountains. Forget Australia. Come to New Zealand!!!! If the wings are moving faster than the fuselage. It's probably a Helicopter. Sorry to hear about Christchurch. I want to see NZ one day. Never seen sharks in storm drains, do cane toads though. 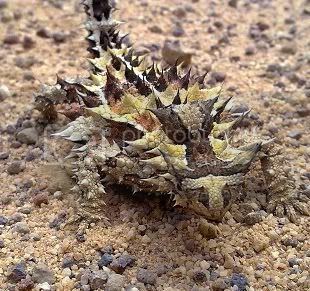 Hands down the ugliest creature in the world and quite unpleasant to find in ones shoe. You guys like surfing? If you don't then Townsville beaches are for you!! The swell was a gnarly 10cm today, perfect for swimming!! Except I hope you bought your stylish stinger suit because the Irukandji jellyfish are quite painful when they sting (so I'm told), and have caused fatalities in the past! !